REACH CDC’s Argyle Apartments will add 189 units of affordable housing on surplus property formerly owned by TriMet. Every week, the Bureau of Development Services publishes lists of Early Assistance applications, Land Use Reviews and Building Permits processed in the previous week. We publish the highlights. This post covers January 28th to February 3rd, 2019. 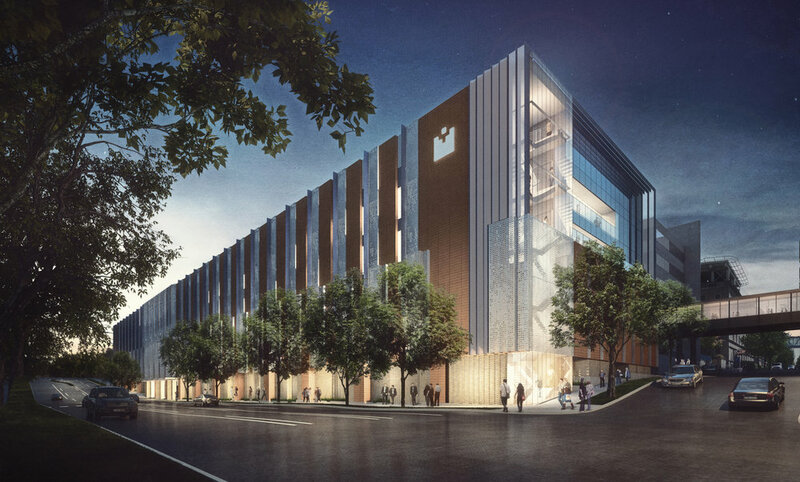 Work Proposed: Proposed building is a single 4-story, wood-framed structure, providing 65 units of affordable housing and approximately 18 covered, but not enclosed parking spaces. R-2 occupancy, Type V-A, NFPA 13R sprinklered. Building is U-shaped, ground floor common room and support spaces, surrounding an interior court/garden. Demolish northern portion of existing 1-story industrial building. 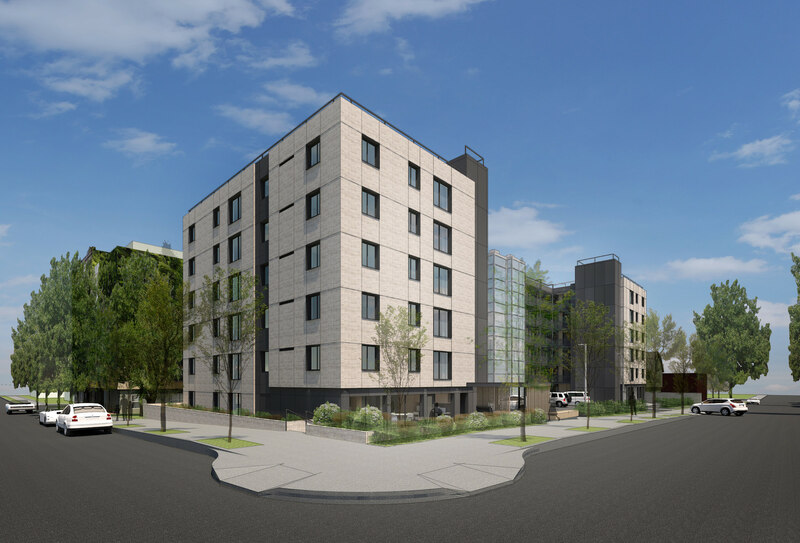 Construct new 49-unit multifamily building with affordable housing and ground floor retail. Community design standards are being used. 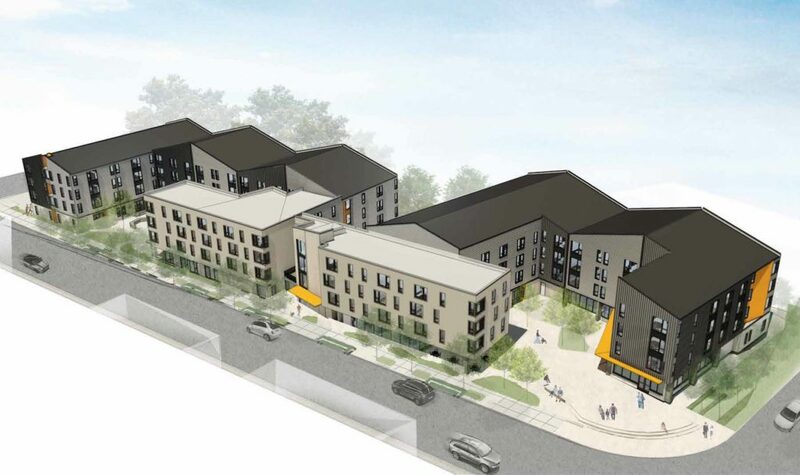 The Historic Landmarks Commission has approved a major renovation of the Medallion Apartments, a 6-story, 90-unit affordable housing development in Northwest Portland owned by Home Forward. The renovation is being designed by Holst Architecture, and will include new cladding, glazing, and roofing, as well as changes to the site and landscaping. 10 existing vehicular parking spaces will remain. 5 new short term bicycle parking spaces will be added at the ground level, and long term bicycle racks added to the units. Every week, the Bureau of Development Services publishes lists of Early Assistance applications, Land Use Reviews and Building Permits processed in the previous week. We publish the highlights. This post covers September 3rd to September 9th, 2018. Project scope is to add another multi-family building to an existing apartment complex that has 18 existing units (10, 2 bedrooms, and 8, 3 bedrooms). Would like to add as many units as possible. New multi-family project with 36 units within a 4-story building. Inclusionary housing will apply. Existing six story, 90 unit apartment building with a rental office and community room on the ground floor. Project scope includes a new exterior skin, HVAC upgrades, site upgrades, and non-conforming upgrades. Every week, the Bureau of Development Services publishes lists of Early Assistance applications, Land Use Reviews and Building Permits processed in the previous week. We publish the highlights. This post covers April 30th to April May 6th, 2018. Project regarding existing six story 90 unit apartment building with a rental office and community room on the ground floor. Project scope includes a new exterior skin, HVAC upgrades, site upgrades and non-confirming upgrades. Project subject to Type III historic design review. Future code: Proposal is for new construction of mixed use building with retail below and residential apartments above. Structures will be either 3-4 or 4-5 stories with underground parking. Existing structures will be demolished. Zoning is changing to CM2. Do not know if affordable housing will be a part of this development. including shared lounge, laundry and outdoor area. Ground floor support, bike storage, trash/electrical, etc. No parking on site. 15% site landscaped. Stormwater flow through planter proposed in L3 landscape zone. 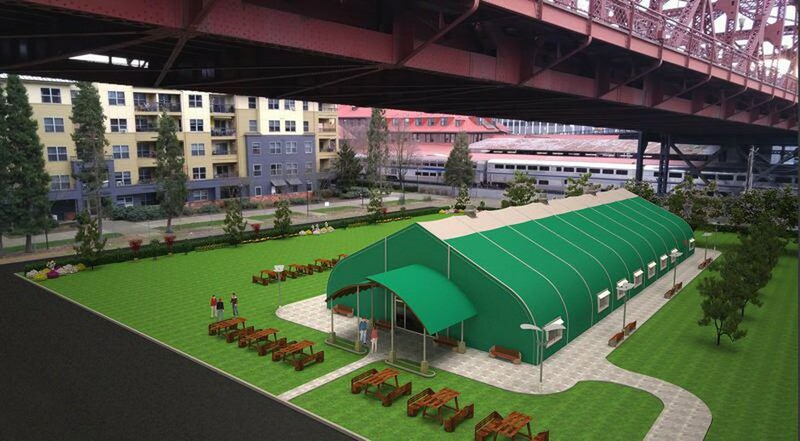 Future code: construction of a temporary shelter. Future code: 19 unit mixed use residential w/ assembly space for restaurant tenant. Proposal for a green roof. Future code: Proposal is for 60 apartments, including affordable units. Retail space on ground level. They would like to meet community design standards. In west brewery tenant space, addition of new tap room and patio entrance with ADA compliant ramp; remodel on west side of bldg existing entry, new walls to create bathrooms, kitchen; in east tenant space establish occupancy for new private car garage tenant from former shell occupancy, new ADA entry ramp at north entry, new walls to create secure storage/ compressor room, car lifts work/storage area, bathroom, add new 2nd floor with 2 offices, conference room, bathroom, and balcony.